Waco! Lemoore! Carderock? Contrary to popular belief, America’s most sophisticated wave pool is not in Texas or California. It’s out on US Government property in Maryland. The US Navy owns and operates an indoor 240 feet wide and 360 feet long wave pool that holds more than 12 million gallons of water. The Navy built the facility to accurately recreate the complexities of ocean conditions that Navy SEALS and warships might encounter at sea. The more conditions and variables they can program in the pool, the better they can test a ship’s design. 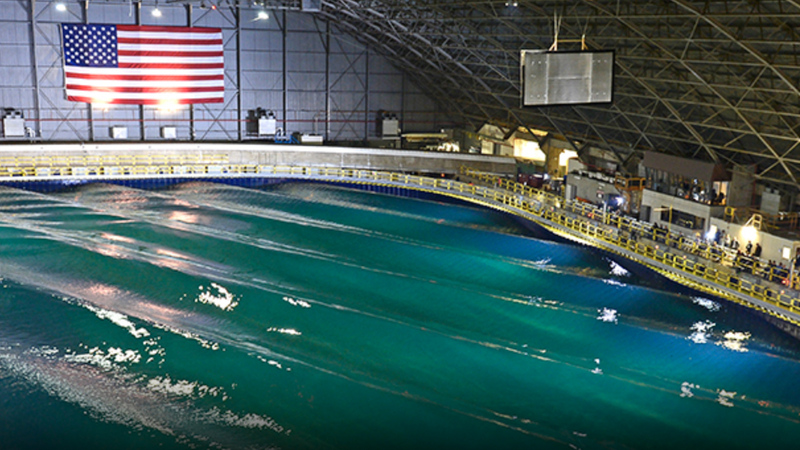 Tests on hydrodynamics, metal stress and strength and more are done at this incredibly sophisticated wave pool. But perhaps US citizens (and taxpayers) would benefit from the Navy testing certain scenarios, like what if a Navy battleship had to, you know, breach the lineup at Rincon on a head high west swell? 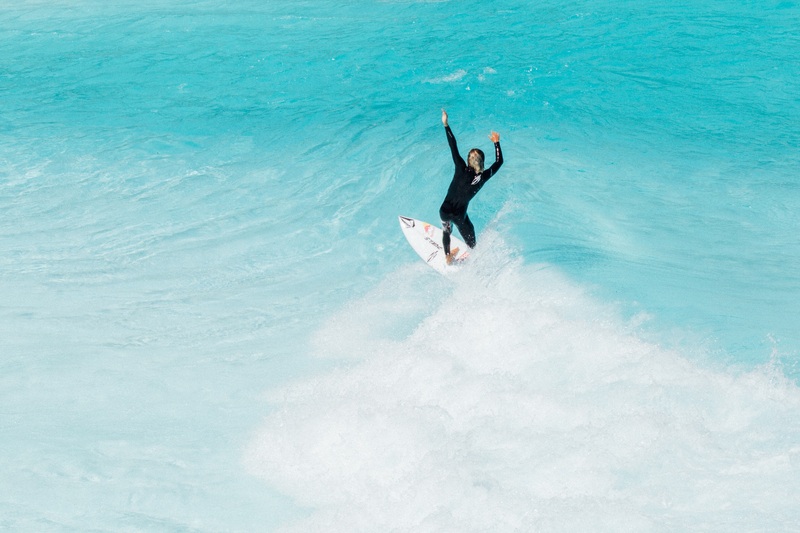 Or ride a wave at Lowers on a strong south swell? Surely the US Gov’t could program that into the world’s most expensive wave pool.